Maintaining Connecticut’s aging bridges will be difficult as the state’s population and number of vehicle miles traveled increases, according to a recent report from The Road Information Program. Known as TRIP, the nonprofit group researches surface transportation issues and promotes policies relating to traffic relief and travel safety. 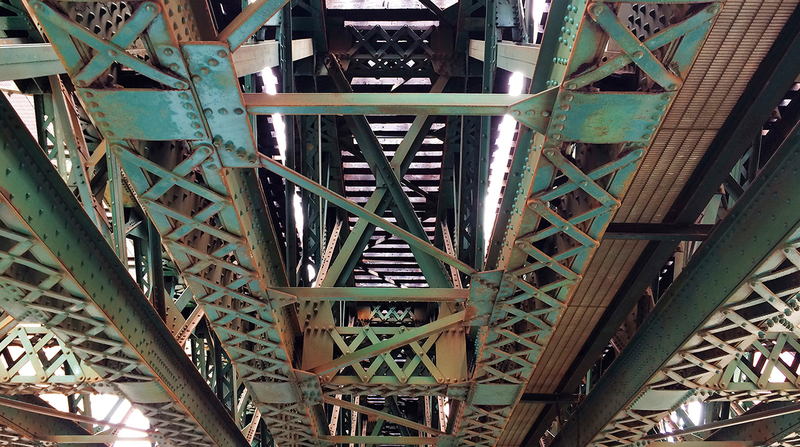 In a report titled “Preserving Connecticut’s Bridges,” the group indicates that 7% of the state’s bridges are structurally deficient and should be replaced. Some 308 of Connecticut’s 4,254 state or locally owned bridges are structurally deficient, meaning there is significant deterioration to the deck and supports. The report, presented to state lawmakers Sept. 20, indicates that a significant number of Connecticut’s bridges have surpassed or are approaching 50 years old, which typically is the intended design life for a bridge. Some 59% of bridges in Connecticut are 50 years or older, which marks the fourth-highest rate of aging bridges in the country. The state’s population and vehicles miles traveled are both increasing, resulting in more wear and tear on roads and bridges. Connecticut’s population reached 3.6 million in 2017, a 5% increase since 2000. Some 2.6 million of those people are licensed drivers. The number of vehicle miles traveled in Connecticut was 31.6 million in 2016, a 3% increase from 2000. Vehicle miles traveled is projected to increase by 10% by 2030. To repair bridges in poor condition and preserve bridges in good condition, the report recommends increased funding at the local, state and federal levels, a conclusion that Motor Transport Association of Connecticut President Joe Sculley agrees with. According to the American Association of State Highway and Transportation Officials’ 2016 Transportation Governance and Finance report, Connecticut does not specifically dedicate any of the revenue raised from the state fuel tax to roads and bridges. In Connecticut, the gas tax is 25 cents per gallon, while the diesel tax is 43.9 cents per gallon. To fund infrastructure projects more efficiently, Connecticut voters will encounter a question on the ballot this November about an amendment that would create a lockbox for transportation funds. Lockbox measures ensure that transportation revenue is used for only transportation-related purposes. Gov. Dannel Malloy told TT that a lockbox measure could help repair roads and rail in addition to bridges. “I think states are struggling with how we are going to fund transportation when gas taxes start to shrink precipitously, and it’s almost impossible to have that discussion in a state unless the taxpayers are confident that the monies that are raised are going to be spent on transportation,” Malloy said. Even if the amendment passes, Sculley said he doesn’t think roads and bridges will receive enough financial attention. He pointed out that transportation funds include issues other than road projects, such as pensions for DOT employees and transit spending. The solution, he said, is to increase the amount of money devoted solely to roads and bridges. Sculley said the need for more infrastructure funding may encourage those who advocate for tolls as a revenue source. Connecticut’s neighbor to the east, Rhode Island, uses a controversial truck tolling program to raise transportation funds. The first two (of an eventual 13) tolling gantries in Rhode Island have been operational since June 11. Members of the trucking community have repeatedly decried the truck-only tolls. American Trucking Associations, Cumberland Farms Inc., M&M Transport Services Inc. and New England Motor Freight filed a lawsuit July 10 contesting the constitutionality of the program.